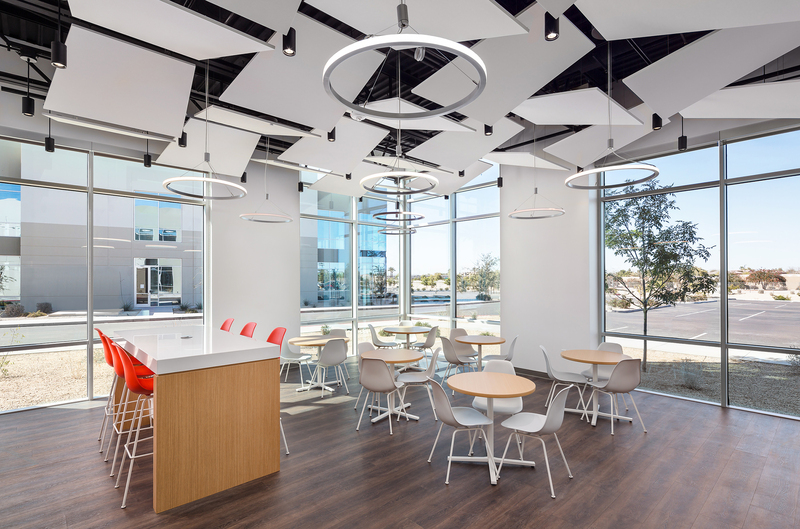 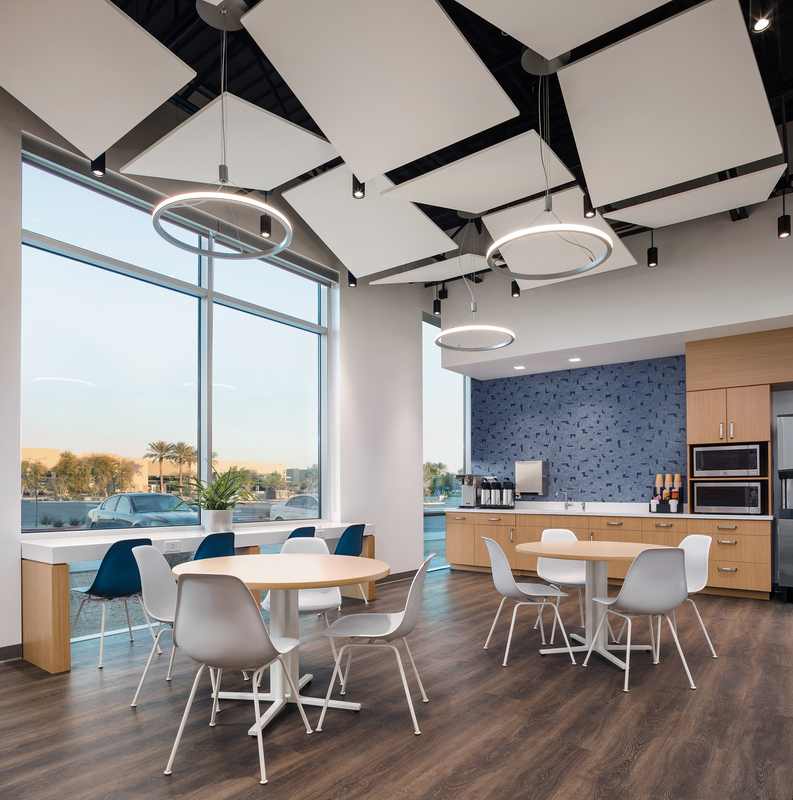 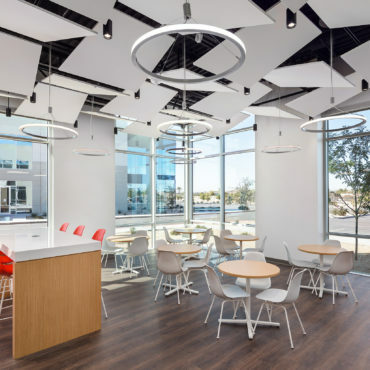 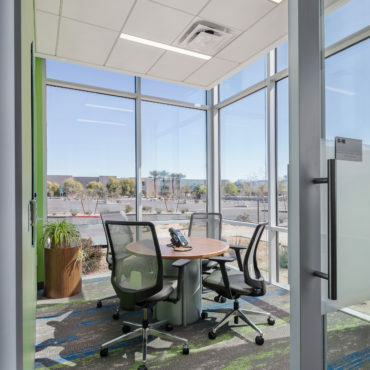 The Liberty Mutual Mach One project consists of 130,488 RSF of space constructed within two buildings that comprise Mach One in Chandler, Arizona. 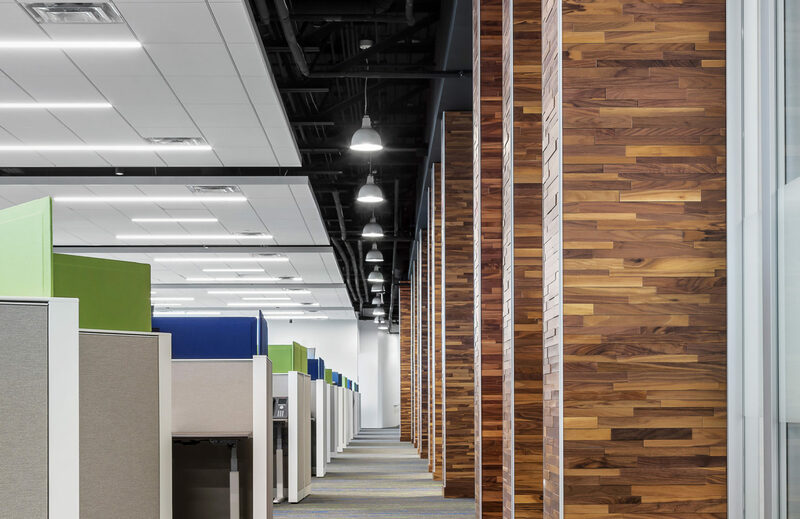 The improvement included the entire Mach One Building One, totaling 102,121 RSF and covering both floors of the two-story building. 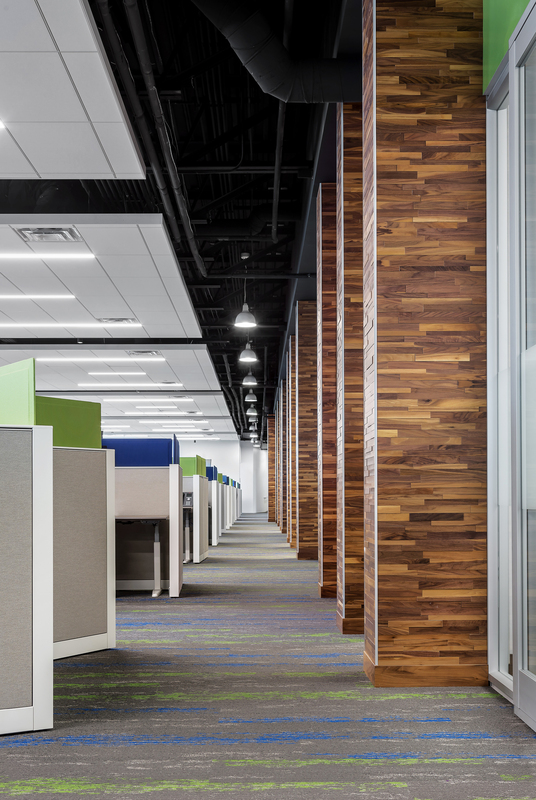 In addition, the improvement included 28,367 RSF on the second floor of the two-story, Mach One Building Two. 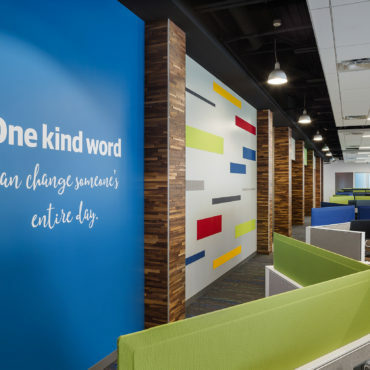 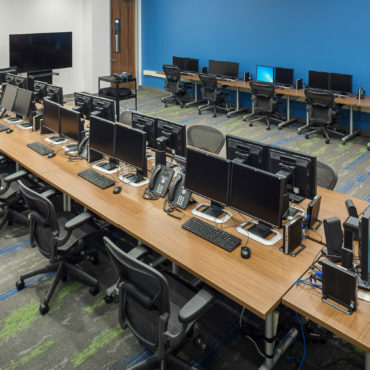 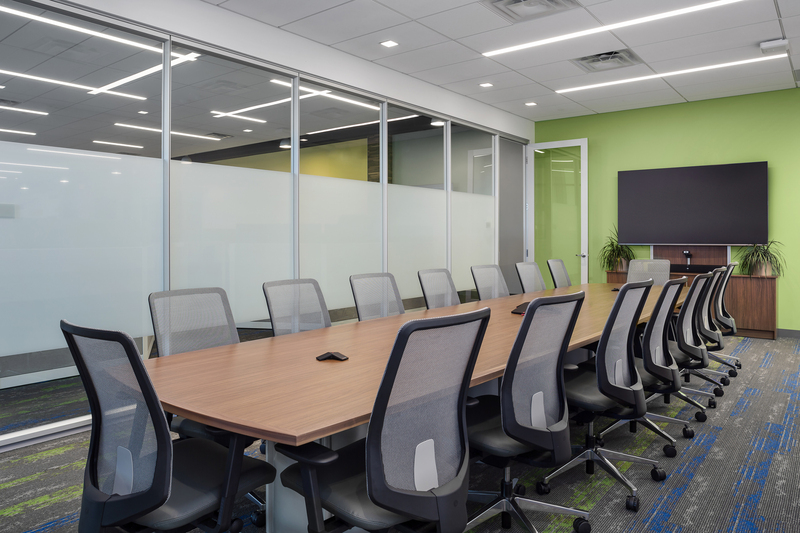 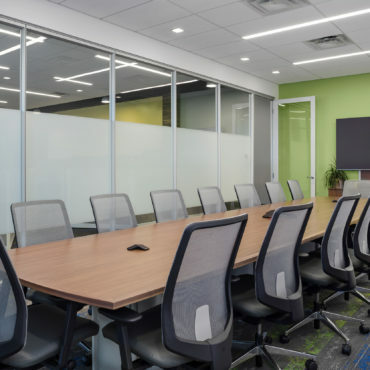 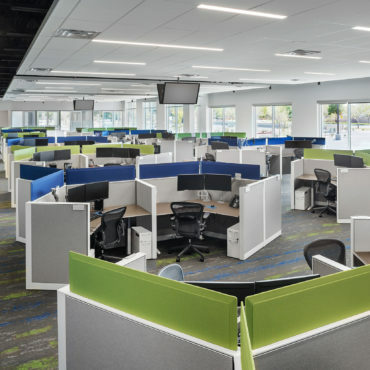 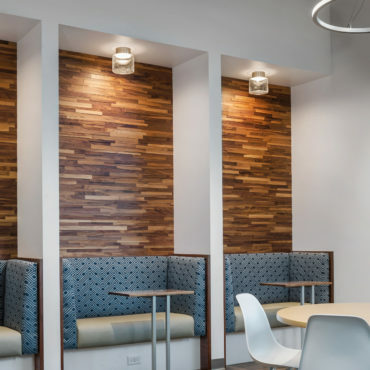 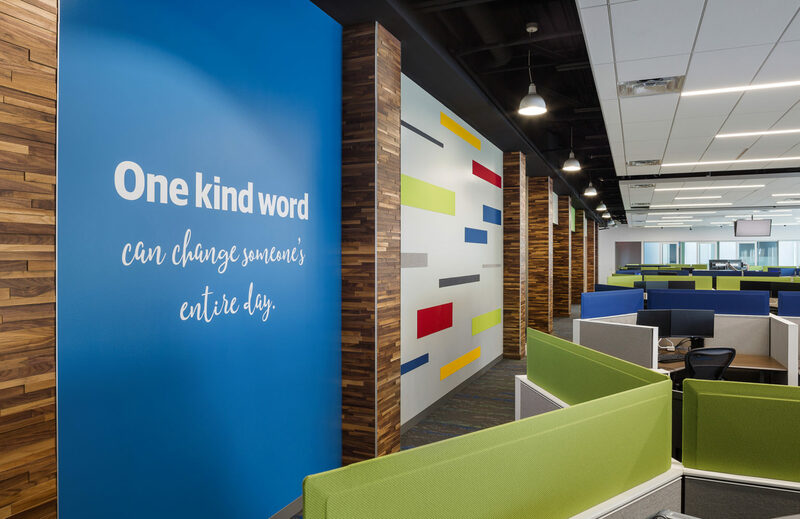 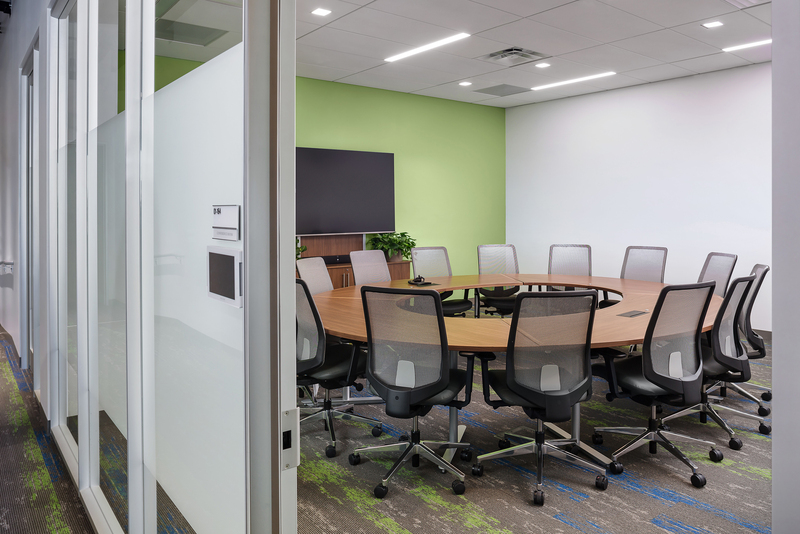 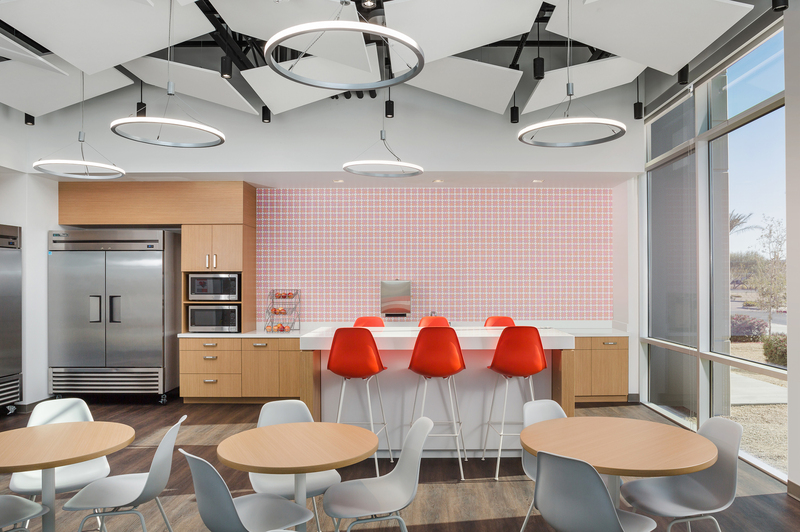 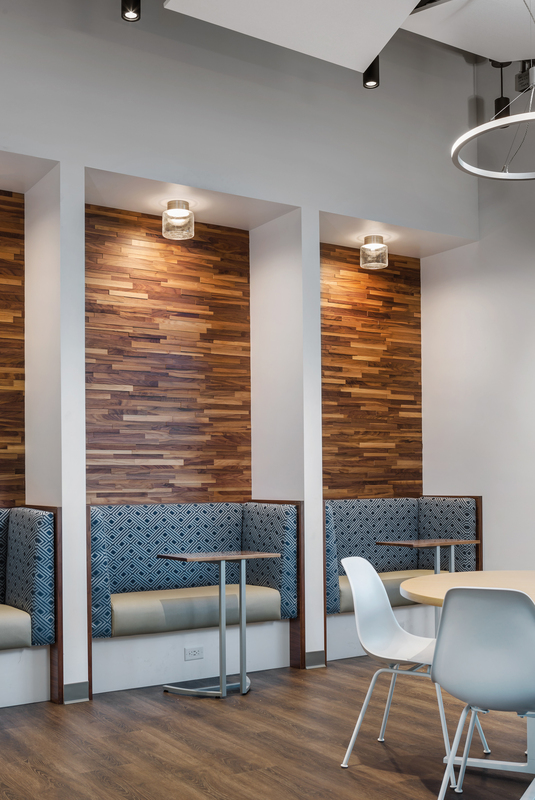 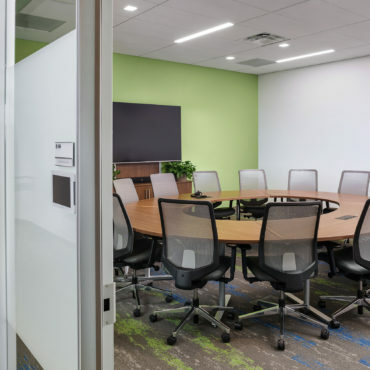 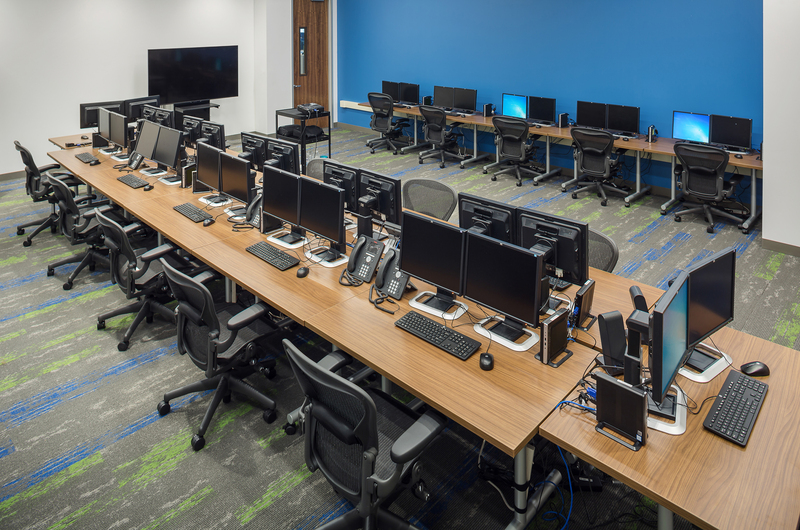 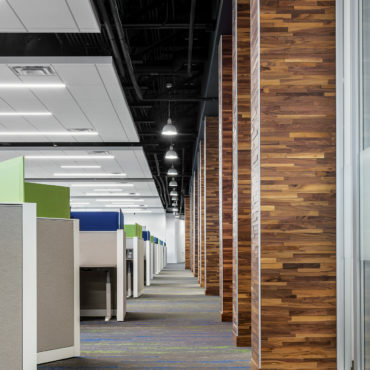 The open office call center was designed to have an open ceiling concept with floating clouds, stained wood floor to deck accent columns, vibrant paint colors, and motivational graphics throughout. 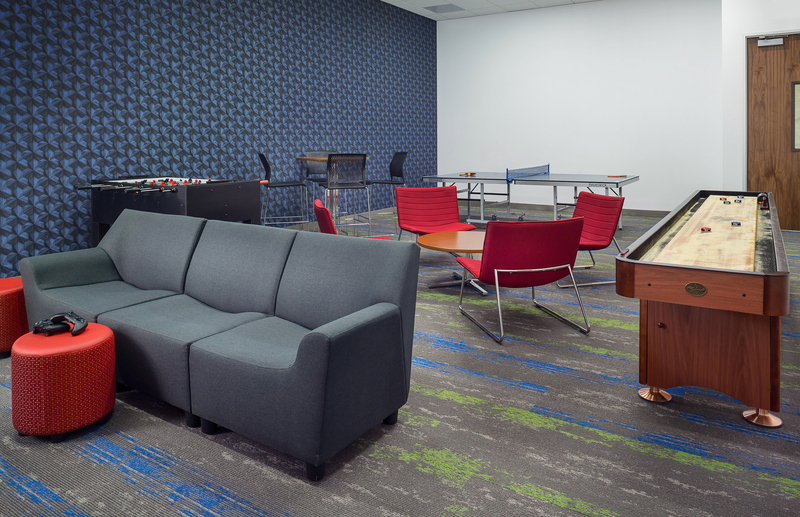 The project incorporated many employee amenities. 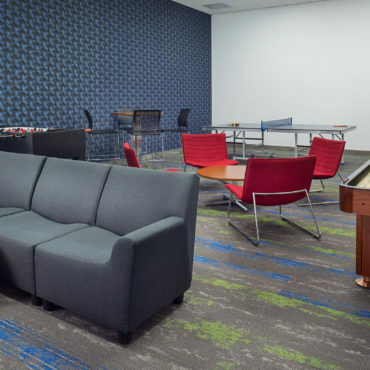 These included a game room, outdoor patio and full-service Café. 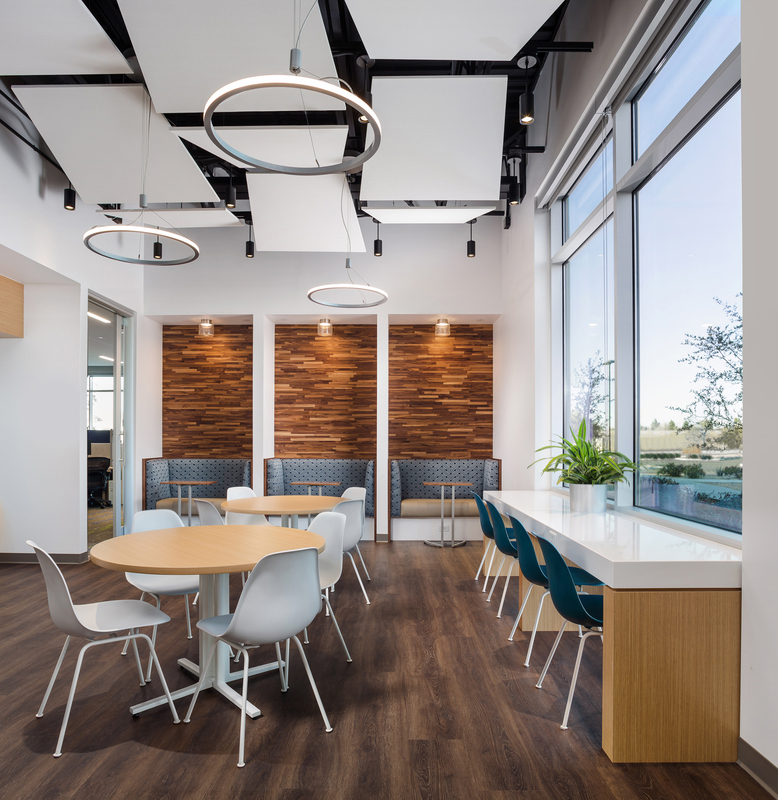 Due to client requirements the construction was split into phases. 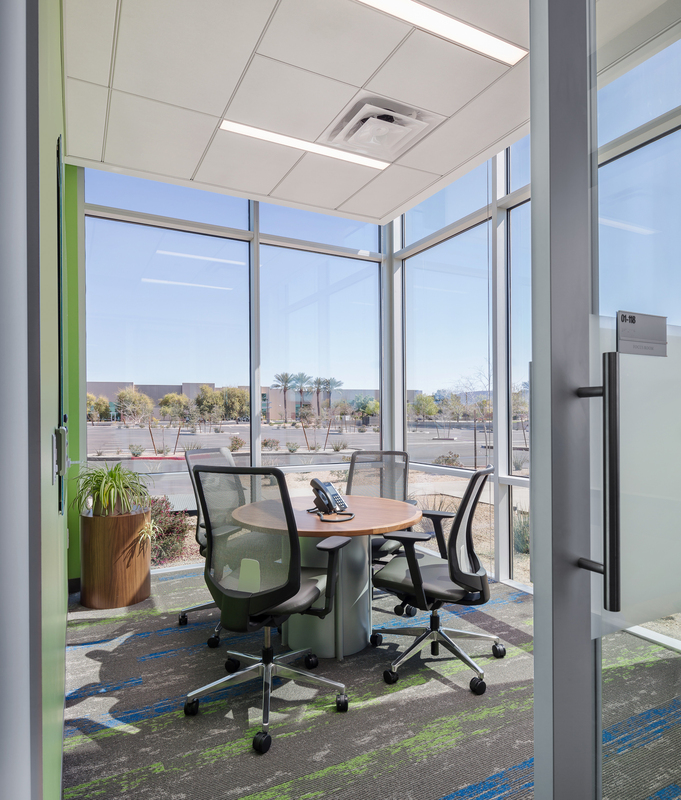 Phase I achieved occupancy of approximately 50,000 RSF in 18 weeks, including the installation of a raised floor throughout the space. 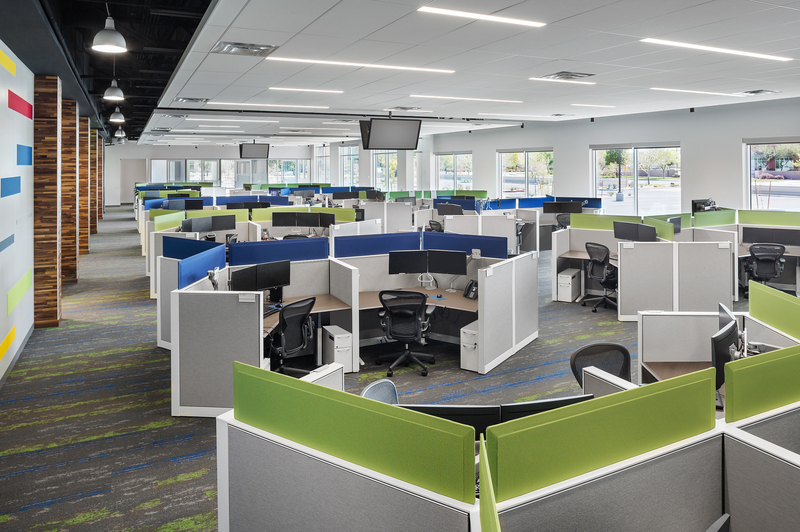 An additional 50,000 RSF for Phase II was delivered 5 weeks later, and Phase III comprised of 28,000 RSF, delivered 6 weeks later.